Relaxed. 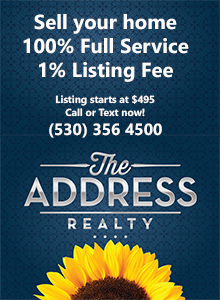 That’s the word for 2014 Redding area home sales. This time last year was frenetic by comparison. Multiple offers, quick sales, rising prices. Today, not so much. The rising bars to the right of the chart reflect inventory growth resulting from the actual sales. Reflecting the highest months of inventory we’ve had in 2 years, when compared to demand. The numbers below tell the tale. Our slowest sale month of the last 24, with only 143 homes sold in total. This data is from our MLS for our own market analysis. We point out that you may see different monthly results posted elsewhere. Our brokerage’s most relevant homes market extends roughly from Lakehead to Lake California, and from Shingletown to Whiskeytown. So that’s what’s reflected in the charts you see here. Information is deemed to be reliable, but is not guaranteed. © 2014 MLS and FBS. Prepared by Skip Murphy on Monday, March 17, 2014 7:10 AM. This entry was posted in Market trends and tagged Market trends on March 17, 2014 by Skip@RHB.